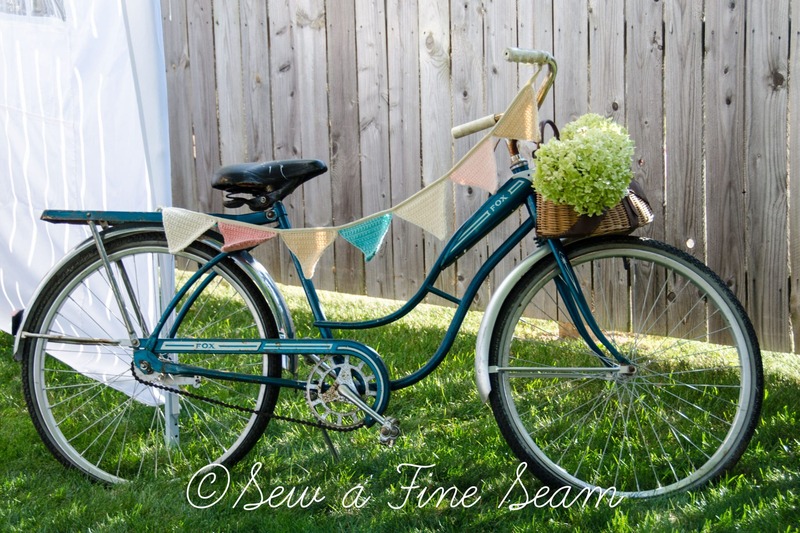 I used one of the bikes for birthday party decor. This bike graced my flower bed last summer and has made an appearance in the same spot this year. If you like old bikes like I do – take a look at these 22 projects that used old bikes or bike parts. They are all pretty cool! There are, of course, the ‘bike in the garden’ projects, projects that use old bike gears, bike chains, wheels, and more. I’m really tempted to give my bike and basket a spray paint treatment. I’m loving the bikes that have been sprayed white or a bright, fun color! Clicking the photo or this link will take you to my hometalk board where I’ve compiled all these great projects into one place – you can click on each individual project to see how the creator made each one. Have fun browsing – and if you have time leave me a comment telling me which one is your favorite! 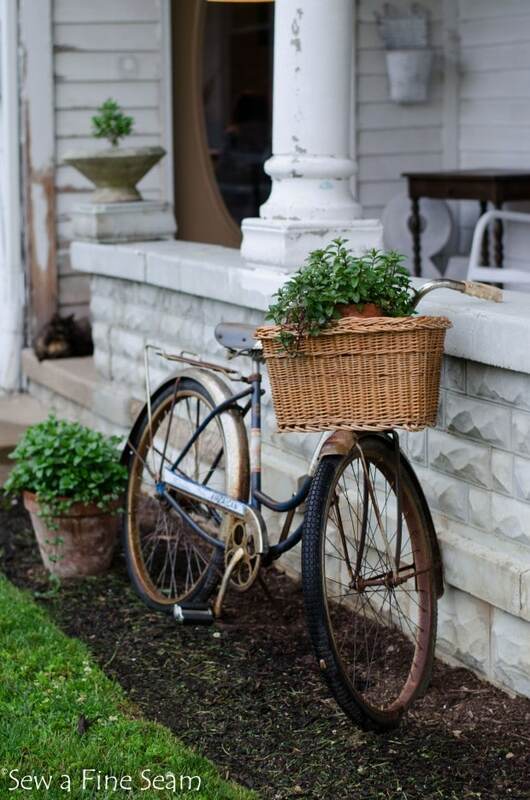 I love how you’ve used the old bikes in your yard and for decor! So cute! I’m brainstorming, now, and thinking about if I could do something with bike parts outside in my backyard!